Almotamar.net, Saba - The decision of recent air raids against al-Qaeda in Abyan province and Arhab district of Sana'a was a Yemeni decision carried by Yemeni security units, deputy prime minister for defense and security told the parliament on Wednesday. Rashad al-Alimi said that the operations was done by benefiting from intelligence information within cooperation between Yemen and other countries like Saudi Arabia and United States of America in domain of combating terror, al-motamar.net reported. The deputy prime minister added that security unit launched raids on al-Majalah village of al-Mahfad district in Abyan last Thursday after having confirmed information that there was a training camp for al-Qaeda in the region. The attack resulted in killing 23 al-Qaeda elements including Yemenis and non-Yemenis, he said. Al-Alimi blamed al-Qaeda responsibility of claiming life of civilians who are families of these elements brought to cook for them, saying that a fact investigations committee headed by Abyan governor to investigate in the event. 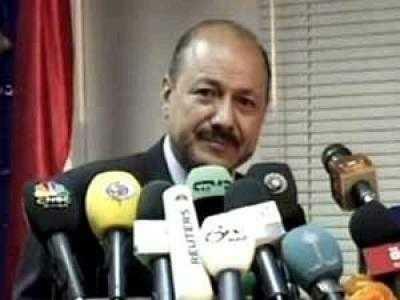 The committee was formed by President Ali Abdullah Saleh. Regarding attacks in Arhab district, the deputy prime minister said that the security bodies received information about possibilities of carrying out terror suicide attacks by eight al-Qaeda elements in Sana'a capital targeting British Embassy and foreign schools. The attacks resulted in killing three al-Qaeda elements and arresting other three, he added. Al-Alimi talked in the parliament session about al-Qaeda plots to establish Islamic emirates in some provinces of the country, saying that al-Qaeda has launched 61 terror attacks since 1992 targeting foreign embassies and tourists places and killing senior security commanders. He also said that these attacks damaged the economy of the nation as the tourist sector loses around 144 million yearly. The deputy minister pointed out to the efforts of the government to combat terrorism, saying that the country has set up National Security Body, Coastguard, and other new anti-terrorism security and military units.